Night, Night. Sleep Tight. Don’t Let the Head Lice Bite. One symptom of head lice that is often overlooked is sleeplessness. Is your child groggy, irritable or not getting to sleep quickly at night? They could possibly be suffering from head lice. Common symptoms usually take about three weeks to manifest. These include itching, open sores, rashes, and white eggs or nits present on the scalp. At night time when you are lying in bed trying to fall asleep, these symptoms can escalate and be more noticeable. Head lice are much more active at night. This is when they crawl around finding food, laying eggs and weaving through hair follicles. If you notice your child is having difficulty sleeping lice may be the culprit. Imagine the sensation of tiny, creeping bugs crawling through your scalp. Top that off with itchiness and sore rashes on your scalp. It’s no wonder some people can’t sleep with head lice. 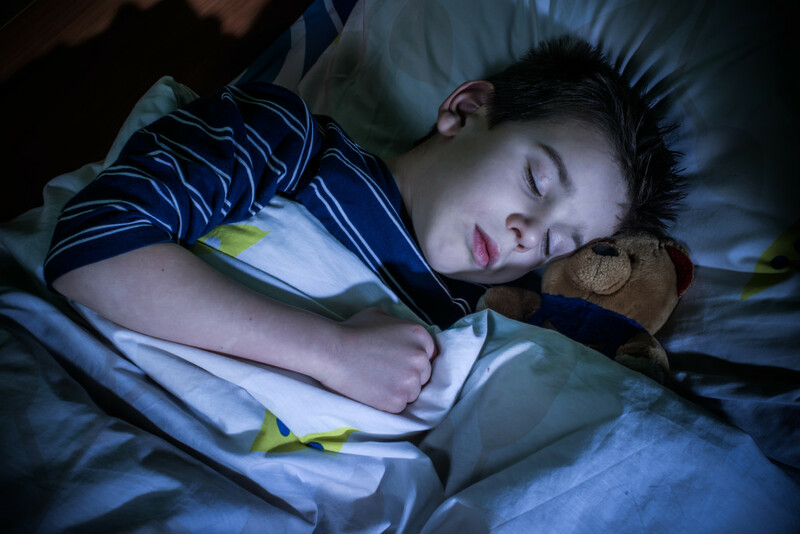 Establish a Realistic Bedtime – Whether your family is dealing with lice or not, experts all teach that nighttime regimes are an important part of helping children receive consistent, good rest. Choose a time that makes sense for your child to be in bed, actually falling asleep. Then work backward to establish a nighttime routine that can help them be mentally prepared from bedtime. Based on your child’s age bedtime varies. The National Sleep Foundation can help you determine what is best for your child. Getting enough rest is essential for a healthy childhood. Set Up a Routine – Give your child a bath every night, read a book, brush their teeth and tell them a story. Keeping a consistent routine every night helps their mind and body prepare for sleep. Use Relaxing Techniques – Relaxing scents can go a long way in helping with sleep. Essential oils can do wonders to help a child or adult prepare for sleep. Scents that help with relaxation are jasmine, lavender, vanilla, or any scent that you like that calms the nerves. Massage your child’s back, neck or feet. Using oils and massaging can help them calm down and fall into a deep sleep. Spend Time Together – Use bedtime as a time for bonding. Reading a favorite story, chapter book or magazine together. Sing a nighttime song that you both love and makes you laugh. Tell them stories about your childhood or ask them questions about their day. Spending time at night with your child helps them feel like they matter to you. Take the time to create a soothing, loving environment so they feel safe and sound before sleep. -Infants and children up to two years of age need 14 hours a day. Usually, this involves a two-hour nap during the day, followed by a 12-hour sleep pattern through the night. Children usually sleep through the night by age six months. A nighttime regime can help with getting them in a pattern to sleep through the night. –Older children ages seven to twelve need at least 10-11 hours of sleep a night. This is time actually spent in slumber.